How many of you have had your carpet cleaned only for the stain you thought you had banished returns soon after! It’s a frustrating issue that is all too common. 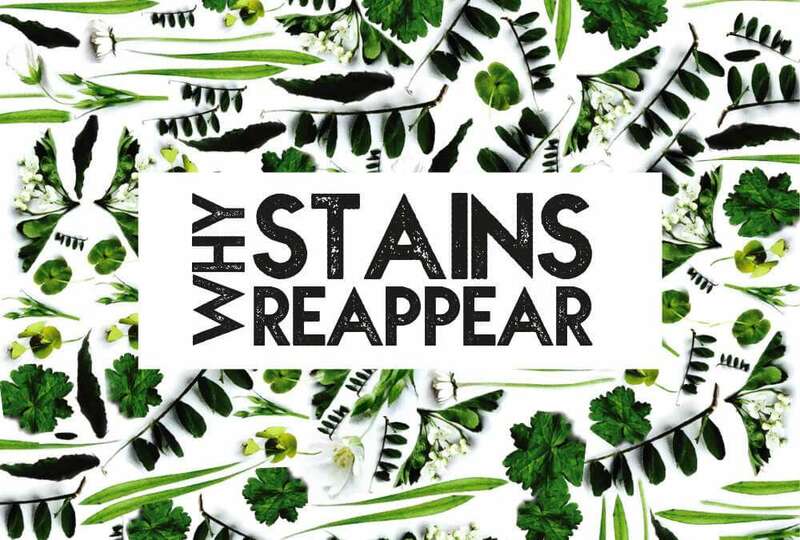 There are two main reasons why your stains keep reappearing. Even after your carpet has been cleaned: wicking and re-soiling. Wicking gets its name from the process of liquid being drawn up the fibres of the carpet. During a traditional carpet clean, a lot of water is used. Your carpets become very wet. 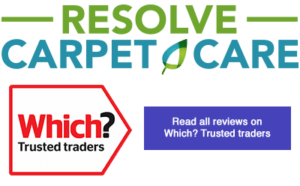 When the carpet fibres become oversaturated the water will get down into the carpet backing and underlay. If your stain has also soaked into the carpet backing and underlay, this is where the problem occurs. The water mixes with the deep-set stain and becomes dirty. If all of the dirty water is not extracted from the carpet and underlay, it will gradually soak up (wick up) the fibres. Et voila, the stain reappears! Wicking is the most common cause when stains resurface soon after a traditional wet clean. The cause of re-soiling is from the residue of the cleaning product being left embedded in the carpet. Residue from alkaline cleaning solutions is quite sticky and so it attracts dirt. When dirt “reappears”, it’s actually caused by new dirt sticking to the leftover residue and not the dirt that you thought you had cleaned away. Re-soiling is the most likely cause if dirty marks reappear a few weeks after you have had a traditional carpet clean, and you will often find that this happens much more quickly in high-traffic areas such as walkways and in front of the sofa. When you get your carpets cleaned by Resolve Carpet Care, you won’t have to worry about pesky stains reappearing. We specialise in dry carpet cleaning. This means water is kept to a minimum, 85% less that traditional carpet cleaning in fact! We don’t use soap or high alkaline in our cleaning solutions, we use science! Our revolutionary system uses technology to break down and release dirt trapped in the fibres of your carpet. The dirt is then easily removed by microfibre absorption and extraction. No excessively wet carpets means no wicking. No soap means no soiling. When you get your carpets cleaned by us, you have the added bonus of a built in deodouriser and sanitiser. Your carpets will look and smell fresh! And best of all, the carpet is dry within minutes – not days. If you want your stains to stay gone, book your appointment with us today. Go green this New Year with an eco-friendly carpet clean!